What comes to your mind when someone names an institution? Its building? Its staff? No. It is the students and their collective work throughout the years that makes the perception of an institution. We often hear the news of a clash between management and students, regular strikes and a tiff between them. The reason behind this is the mismatch of ideology but what if students themselves decide what is good for them and the staff supports them? That’s exactly what we do at IIM Raipur. 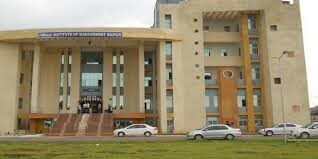 IIM Raipur is one of the few institutions where students take care of almost everything. We have different student committees, each one responsible for given field and staff supervises them. We have total 9 committees and 13 clubs. These clubs and committees cover each and everywhere students can be involved. You got a problem regarding placements? Someone is there. You got a problem regarding hostel, sports or be it your interest in some activity, there is always someone there to help you out. Now, this thing is only possible where students drive the college not the other way around. Also, this keeps the student more interactive and plays a vital role in the making of future managers. Until now it was how these clubs and committees help you now let’s talk about what an individual gets by joining them and why one should invest their time there. A keen observer will obviously notice that all these are the qualities of a manager, so apart from the academics, IIM Raipur gives you a chance to develop holistically through extra activities. Even if one is not interested in taking academic responsibility as a club or committee, then cultural and sports club are always there to cheer you up. I would like to join Aditya Birla Ultra Tech Cement company because I want operations as my domain and it provides a good scope. Ultra Tech Ltd is the global leader and industry pioneer in Cement production and Cement industry is an evergreen industry in my own opinion would never go down. Cement demand will keep on increasing as India is developing fast and infrastructure is a key factor in this. Also, my graduation is in chemistry so I think I would be able to boost my career using my graduation also wherever needed.